Summer sunshine and the livin is easy. 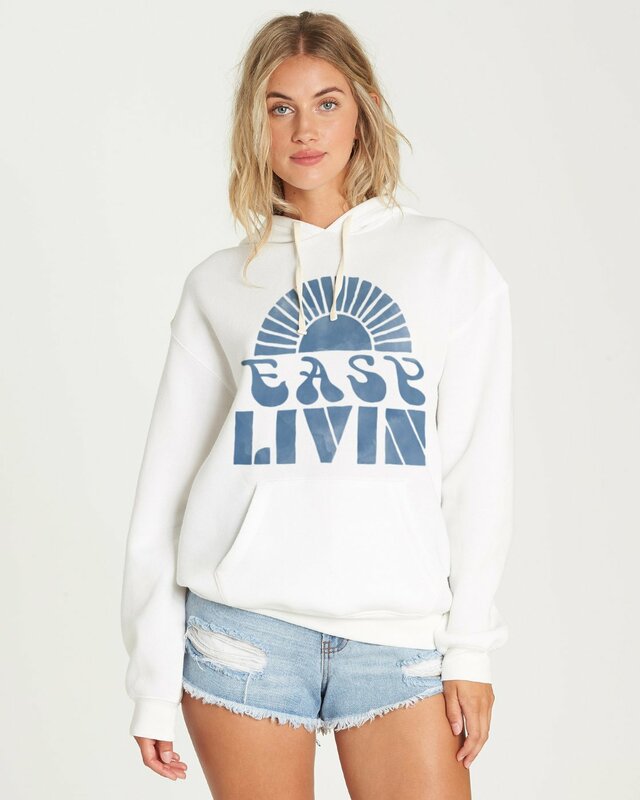 The women’s hooded sweatshirt keeps it classic with a pouch pocket, adding an “easy livin” print to the chest. 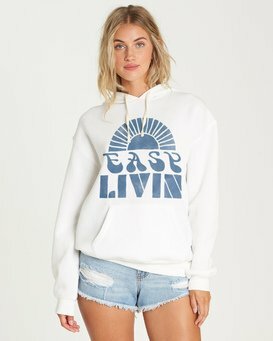 The graphic hoodie is made from soft blended fleece.